This has been on my to-do list for ages, and it took a Thanksgiving break plus getting stuck inside for a week due to smoke from the Camp Fire to finally get to it. Here, we cover how to create a new round, invite team members, and more. We start by showing how to invite investors one-by-one, and the difference between individual cards and firm cards. Many founders already have an Excel or CSV list of investors; here is how to import them into Foundersuite and add them to your Board. We have a database of 21,000 VC funds and 100,000+ angels, fund-of-funds, family offices, PE firms, hedge funds, etc. Here’s how to search the DB. This video shows all the features and functionality of the CRM. Use it to manage your investor funnel, keep track of activities, files and emails, track overall metrics and funding progress, and more. 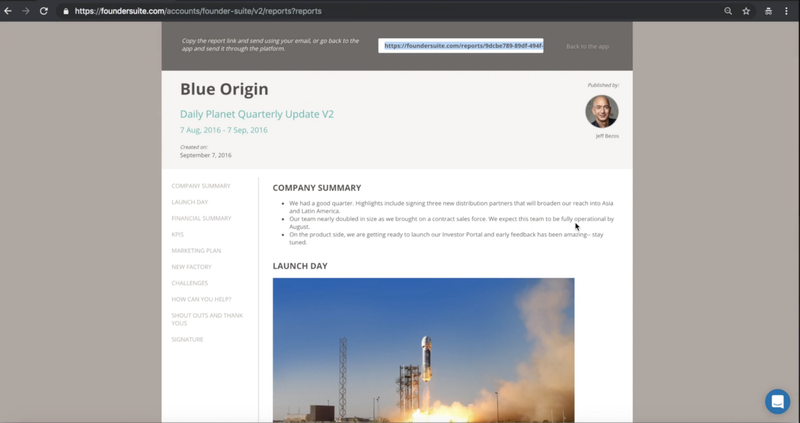 This video shows how to use the Investor Update tool to create a regular newsletter. Use it to both update investors on your cap table, and to “nurture” investor prospects for a future round. Also see how to host your Pitch Deck. As an added bonus, we have a collection of 80+ templates (pitch decks, cap tables, term sheets, etc.) plus deals and discounts on Stripe, InVision, Intercom, Bench, WeWork and others.